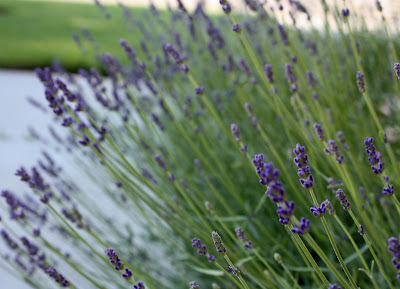 The Hidcote lavender along the front walkway is starting to bloom. This is classified as a true English lavender and it has a stronger scent than the Munstead lavender plants in the yard. The Munstead lavenders aren't blooming yet.